Mugs created by teens during ceramic sessions led by ceramicist Kim Stocker, held at each branch of the Orange County Public Library, during the summer of 2018. 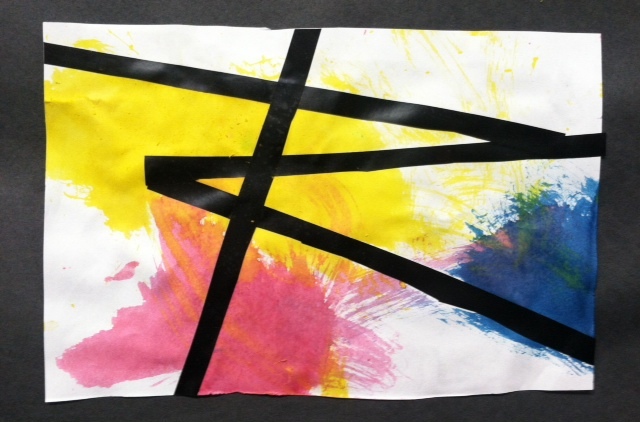 Pieces exhibited at the annual event showcasing the year’s artwork created during the Outreach monthly art sessions, which are held throughout the school year. Drum making, map making and dance practice with Dena Jennings at The Boys & Girls Club of Orange were just part of the preparations needed for the upcoming community wide Juneteenth 2018 Celebration at Montpelier. Students from OCHS Special Ed take a Morin Gallery tour and ready themselves in the classroom at The Arts Center for a follow-up painting session. Painted by every group that Outreach serves, from 8 months to 100 years old to honor The Arts Center’s Fishbowl Celebration. The school of fish above, and details, created by Head Starters, were just a part of the decorative fun that graced The Arts Center throughout the summer of 2017. Outreach art teacher, Julie Jackson and her young Head Start student tour the annual Outreach Art exhibit held at OC Head Start & PreK. Later that evening Julie joins another Head Start student at The Arts Center for the Young Visions exhibit, where his self portrait painting in oil pastel and watercolor is displayed. After studying French painter Edgar Degas’ ballet paintings, as well as exploring ballet movement, young artists from the entire Orange County Head Start & Pre K Program painted their own ballerina in motion. 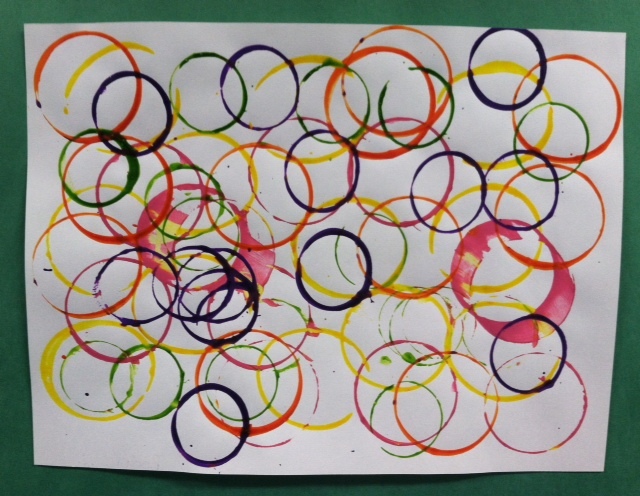 These were exhibited in May 2017, along with examples of all of the artwork created during the monthly Outreach art sessions held throughout the school year. Another presenting participant through VCA’s Presenter Touring Program, Kid Pan Alley, led by recording artist Paul Reisler and opera singer Mary Alouette, spent a packed week with over close to 200 OES 4th & 5th graders creating, recording and performing original songs. This incredible program, designed among other things to promote self-confidence, self-awareness, and teamwork, power-packed time – first at the Arts Center, where an original work of art was chosen (a different piece chosen by vote, for each of the eight classes that participated) and where the brainstorming for the song theme, beginning words, and lyrics were hatched and honed. This was followed up and completed at OES during a couple of hard-working sessions until the songs were fine-tuned, finished, and recorded onto a DVD. Two full concerts were performed at the end of that marvelously fruitful, creative week on Friday, April 15th – with 1,000 attendees. 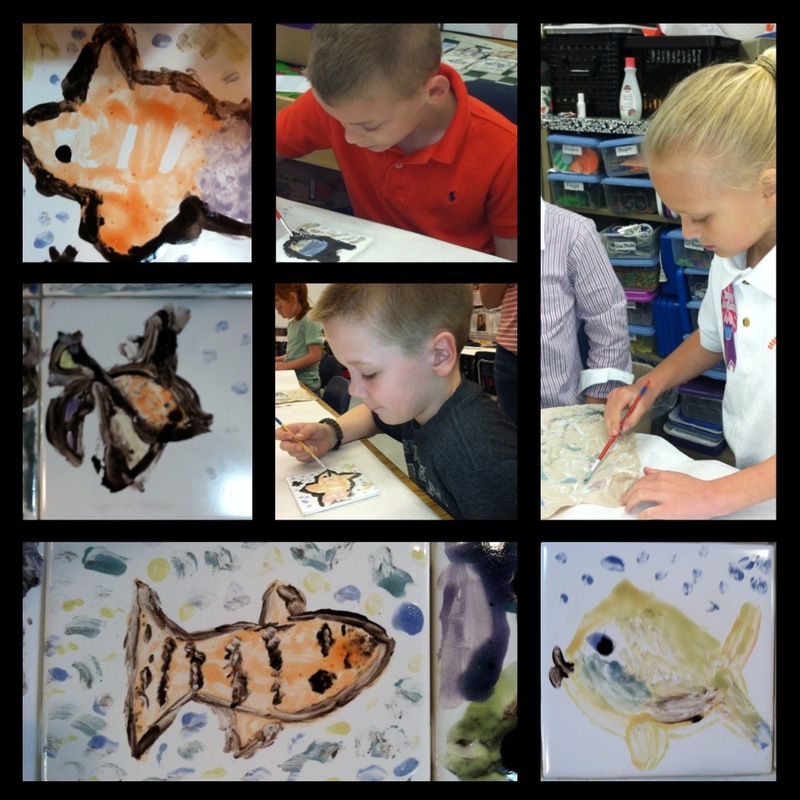 Glazing a ceramic tile with expressive imagery has been a yearly enterprise with the entire first grade class at Orange County’s Orange Elementary School. 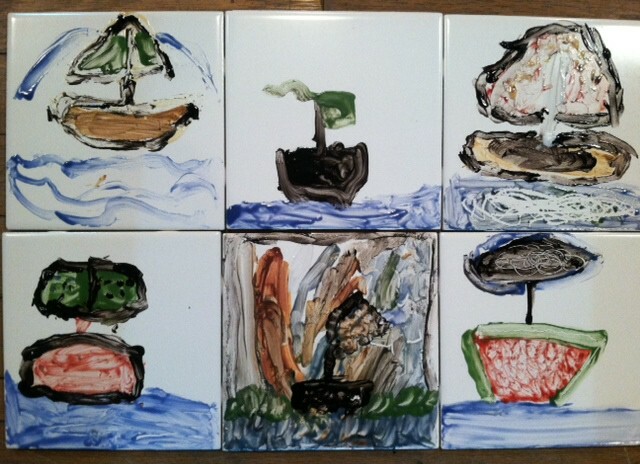 This year’s tile depicts a sailboat, asea, be it on calm or stormy waters. 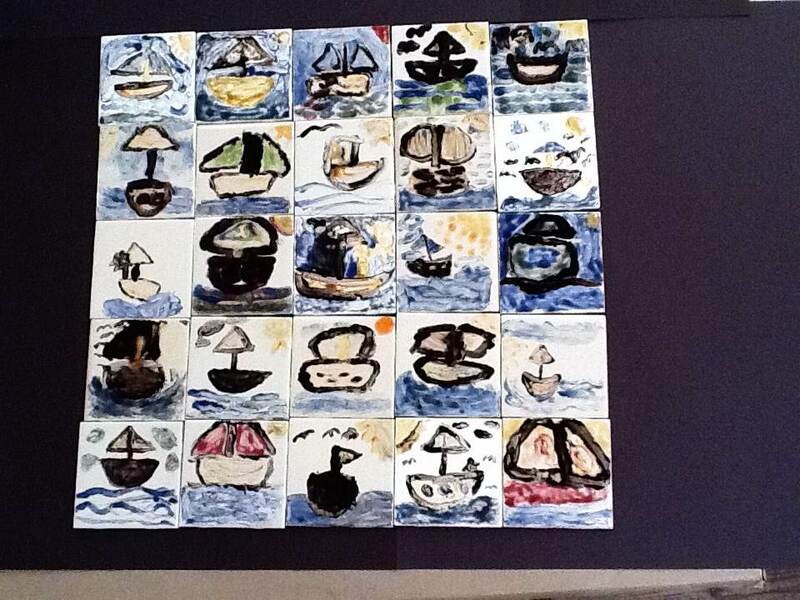 After first being given a brief “how-to” – including investigating the parts of a sailboat – the first graders were then let loose, free to glaze and create their own wonderfully expressive versions of a sailboat, asea. 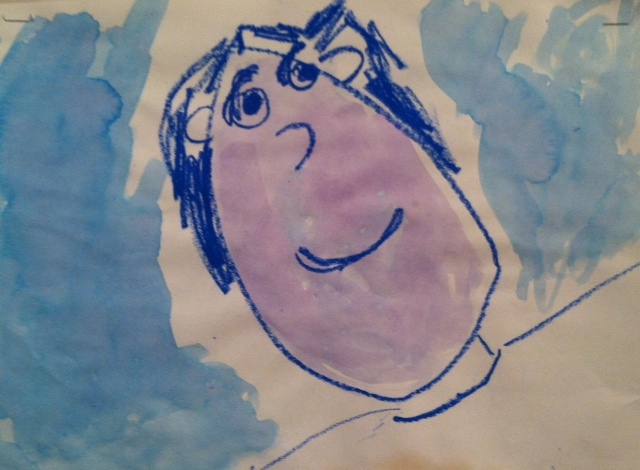 A yearly favorite art exploration, these watercolor and oil pastel self portraits are truly wonderful! 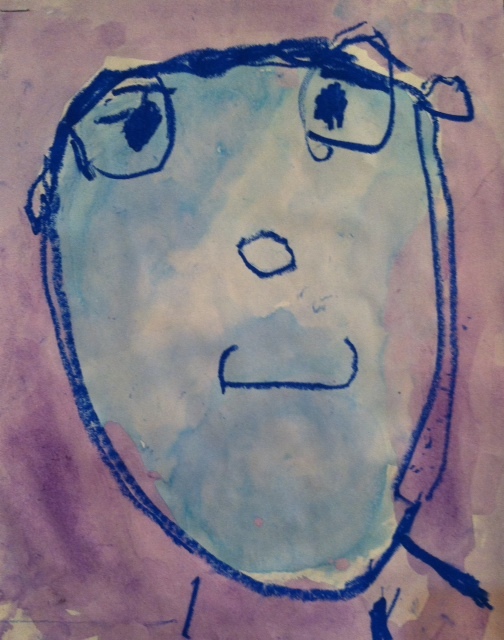 After an indepth study of portraits done by several famous artists, such as Picasso, Chagall, Kahlo and Matisse – each child within the entire HS & EHS program created their own rendition of self, exploring both the outside self (how we look) and the internal self (how we feel). 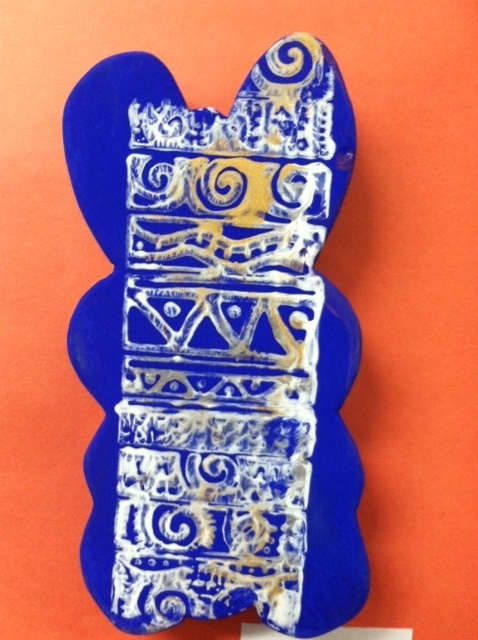 Selected pieces were up throughout the month of May 2015, during the Young Visions exhibit – an exhibit showcasing the artwork done throughout all of the school systems of Orange County. This year, not only did a fine sample of the artwork from Outreach’s monthly visits to each of the HS & EHS classrooms go on display at the Taylor Building – but an example of the diversely creative artwork done in each classroom, designed by each of the HS & EHS teachers and assitants – went on display as well. It was a show that was so well received that it will now be the template for next year’s exhibit. 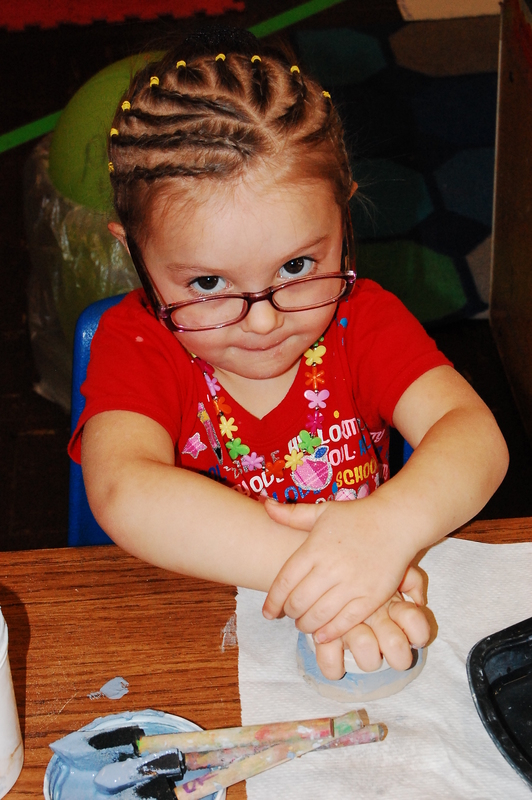 Each spring, Outreach makes a visit to the entire first grade class of OES with the objective being this: Creating a tile for a father, grandfather, or a special male role-model , to give as a gift on the upcoming Father’s Day celebration in June. A fun feat, yet, with the bonus being that so much more comes about during this project! 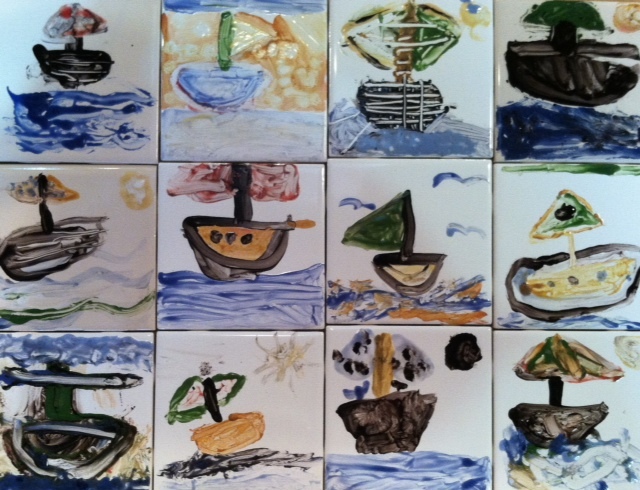 Be it sailboat, or fish, each child creates amazing, intricate designs – and seriously ponders which color, which line or dot of glaze will evoke their own personal vision of the gift of love they wish to offer. 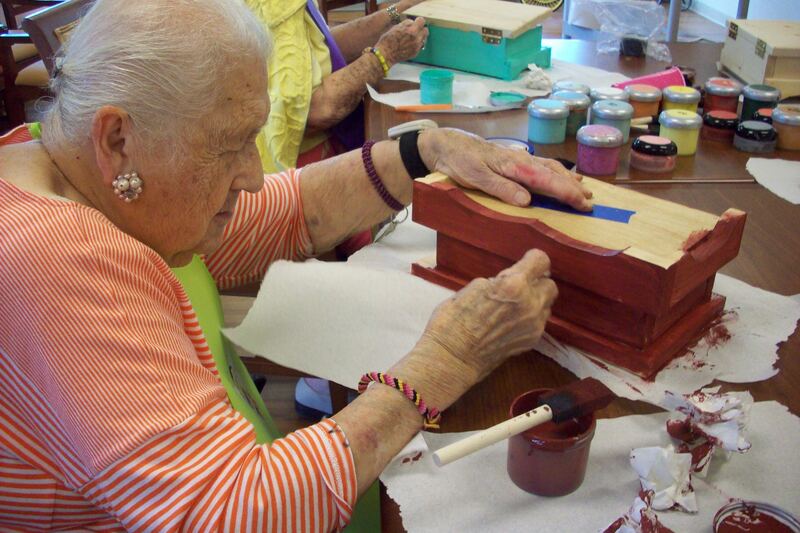 Beautiful wooden cache boxes, created by members of Orange County High School’s Future Farmer’s of America – with the residents of Dogwood Village of Orange County Senior Living expressly in mind – were painted and decorated during Outreach Art Adventure classes. 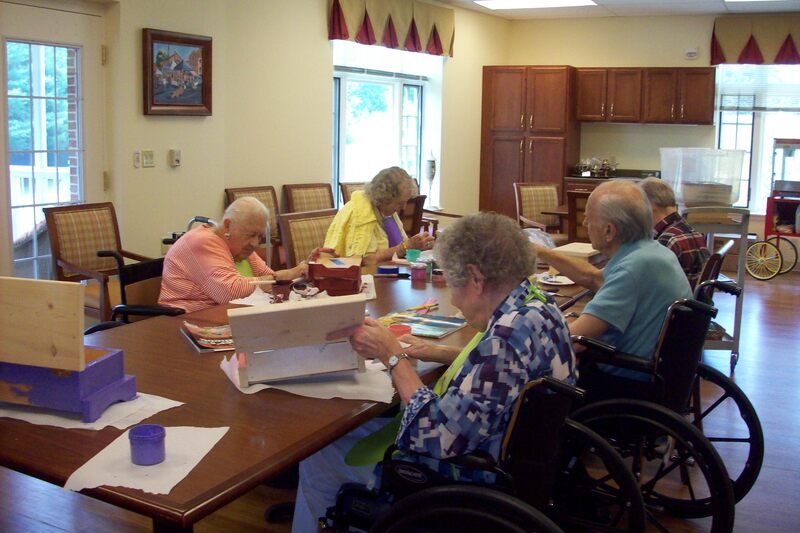 These classes are held twice monthly at Dogwood Village SL, and have been a mainstay of the Outreach program since 2002. As a yearly tradition, Outreach visits Orange Elementary School and works with each of its first grade students on a tile project. This year’s project was a piece for Father’s Day. 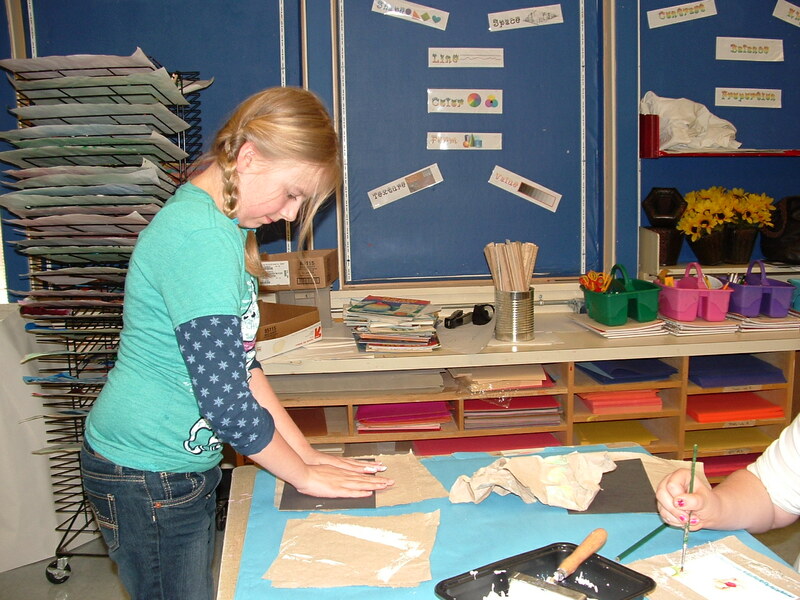 The students used various colored glazes to create their own seascape. 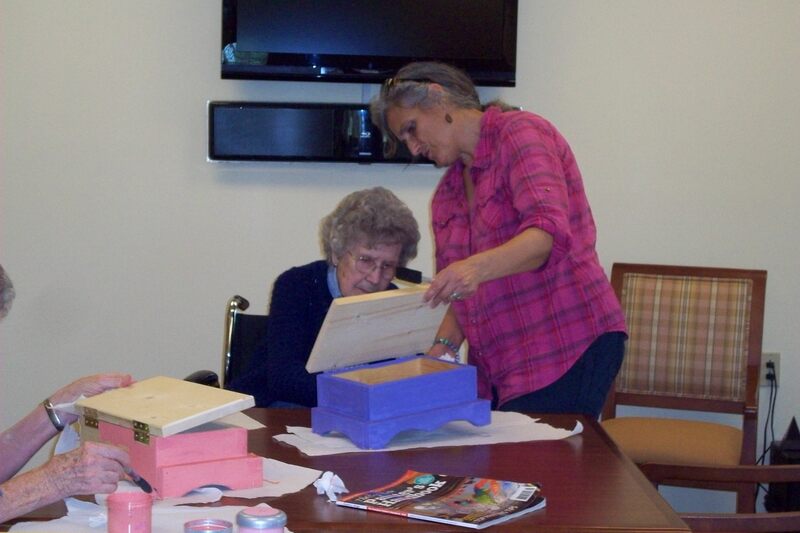 The tiles were then fired at the Arts Center, and returned to each student in time to give as a gift! 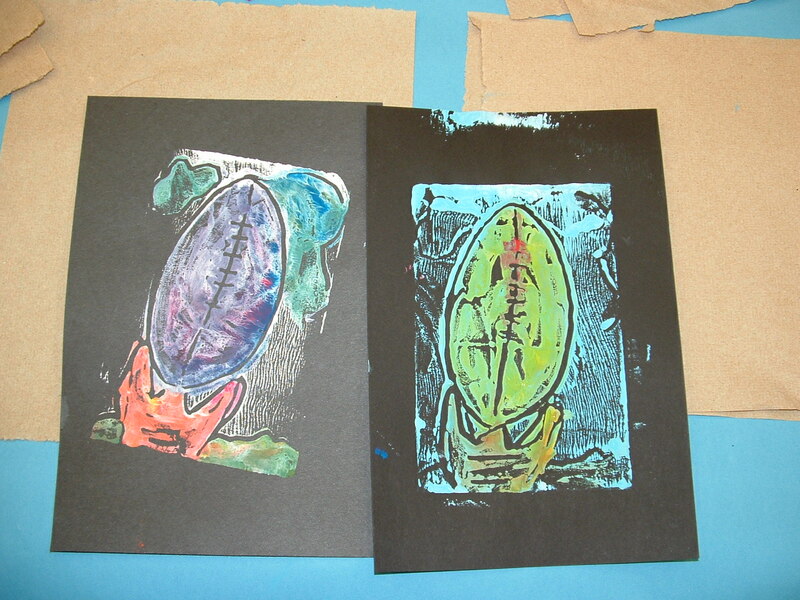 Outreach at Lightfoot Elementary School: Printmaking was just one of the art mediums that Outreach introduced to students from Lightfoot Elementary School during their After School Enrichment Program. 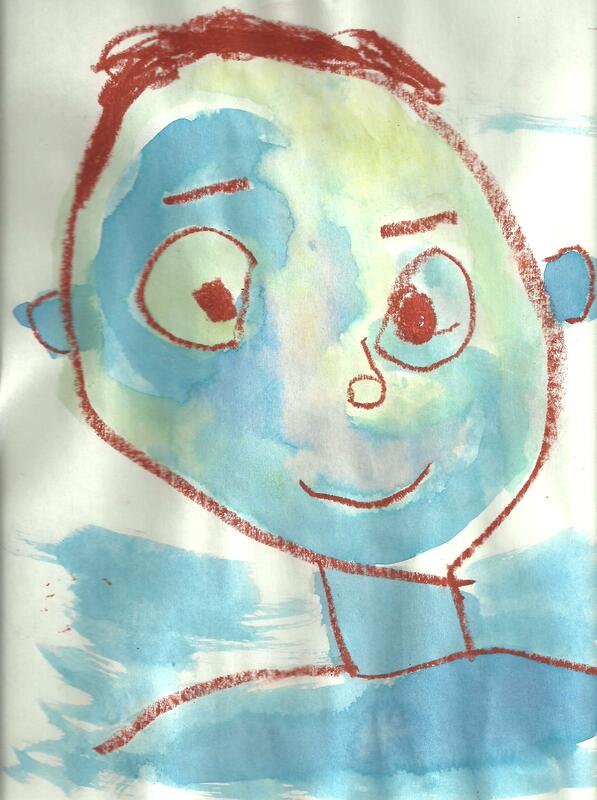 Head Start and Early Head Start of Orange Art Exhibit 2012: Self-Portrait by Derek Fernandez Art Exhibit: Featuring the artwork of Orange County Head Start & Early Head Start as part of The Arts Center in Orange Community Outreach Program. Tuesday, May 1st through Friday, May 4th – with a reception on Tuesday May 1, 2012, from 5:00-6:00 PM at the Taylor EA Complex. Reception catered by The Culinary Arts Program from OCHS. 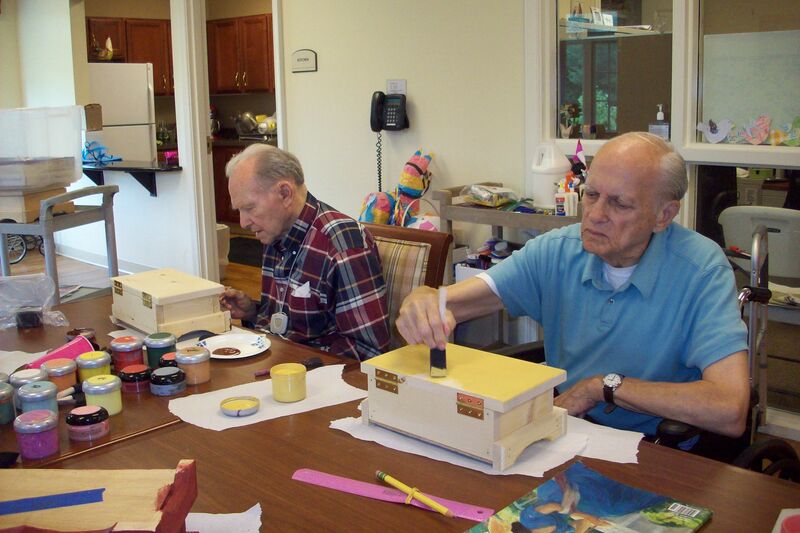 Orange County HS Future Farmers of America donated these finely constructed birdhouses for the Dogwood Village of OC – Senior Living Art Adventure artists to paint. Thank you teachers Will Likins and Andrew McWilliams, and all of the FFA student body! And to C.R. Butler for the donation of vibrant paints. 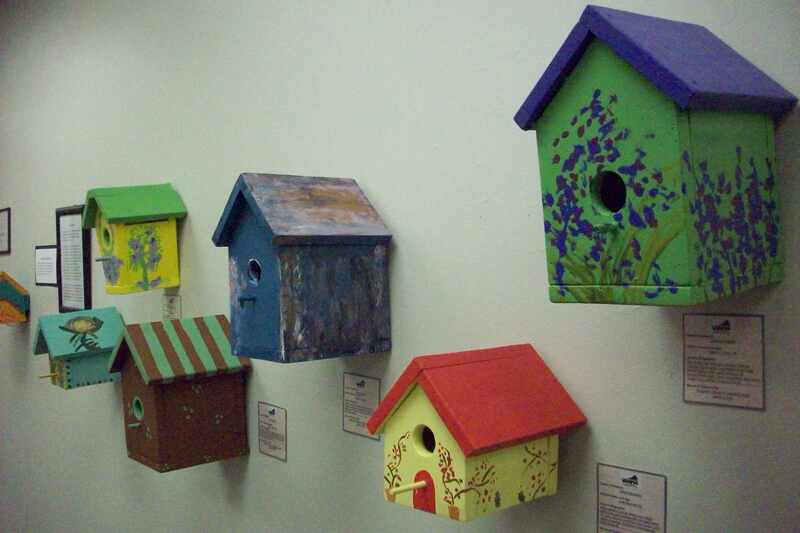 The birdhouses were part of the annual art exhibit held during the January 2011 regular legislation session in Richmond. 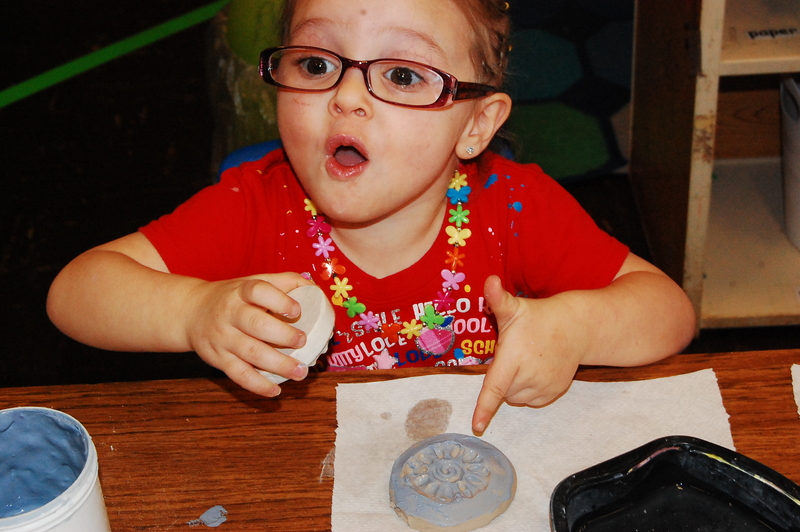 Working with clay is always fun – and the magic of artistic expression couldn’t be captured better during one of the Outreach art sessions with this young, delightful artist from Orange County Head Start!